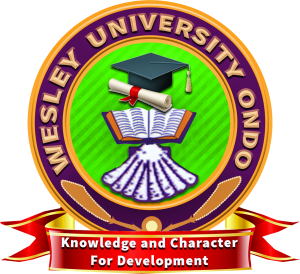 Applications are invited from suitably qualified candidates for admission into various programmes available for the 2018/2019 academic session in Wesley University, Ondo. Wesley University Ondo Available Postgraduate Programme. Master of Business Administration (MBA); M.SC in Accounting, Business Administration, Economics, Political Science, Mass Communication, Hospitality Management and Tourism, Biochemistry, Microbiology, Aquaculture and Fisheries Management, Nutrition and Dietetics. PGD in Public Administration, Mass Communication, Business Management, Financial Management, Nutrition and Dietetics, Hospitality Management, Geophysics. How to Apply for Wesley University Postgraduate Admission. Candidates should pay the sum of ten thousand Naira (N10,000) to Skye Bank Current Account No. 1770793957. Application forms can be obtained online at the University Campus. Call: Kelly: 08069801463; Toyin: 07057006658; Shade: 07087654830.